CableReady offers a series of protective molding products developed to meet the needs of the ever-changing communications industry. CableReady engineers were able to develop a protective molding raceway that not only meets, but exceeds industry standards. 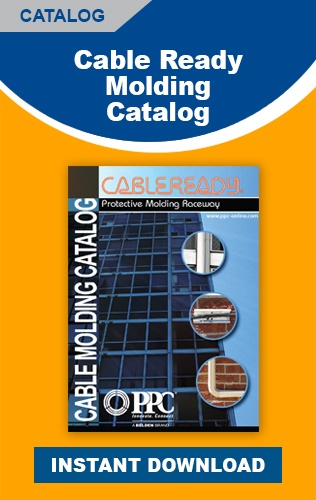 CableReady has become an industry leader in developing innovative solutions to the challenges faced by installers when working with channel molding and the millions of unique properties they encounter. Our molding is made from 26 gauge painted Galvalume® steel. Galvalume lasts longer and is for more durable than hot dipped steel or plastic molding systems. All CableReady molding is guaranteed against cracking, warping, discoloring, blistering or peeling due to ultraviolet rays or harsh weather conditions for 15 years. 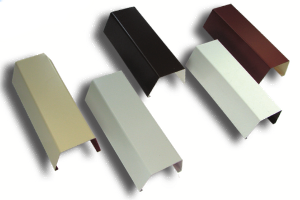 CableReady offers five colors in four sizes of molding so that you have the right match for each job. Adaptors and accessories are available to match both color and size. Galvalume provides both strength and durability, with most installations never needing to be opened again. CableReady protects your cables against ice, UV rays, yardwork, theft, and more. A wide variety of adaptors are available for each and every obstacle encountered when installing channel molding. Transitions, right angles, outside/inside corners, tee fittings, and much more are available and designed to fit without customization and secondary processes.